Komodo Edit is a good free editor for Python development. However, there is no debugging feature in Komodo Edit. Therefore, it is a cumbersome process to execute Python scripts. Fortunately, there is a feature called Run command to satisfy this job. click Toolbox > Add > New Command. type "Run Python file" in the top field. Click on the "Key Binding" tab and you can set the keyboard shortcut key (optional). I personally like the F5 key. 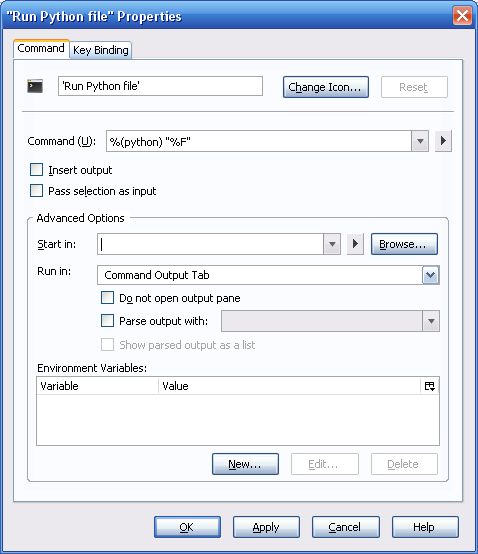 Now, you can easily execute the Python script by pressing "F5", or by double clicking the "Run Python file" in your toolbox pane, which is usually located at the right. 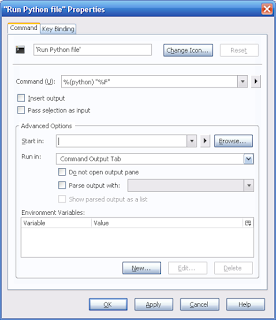 The output will be displayed in the Command output pane at the bottom.